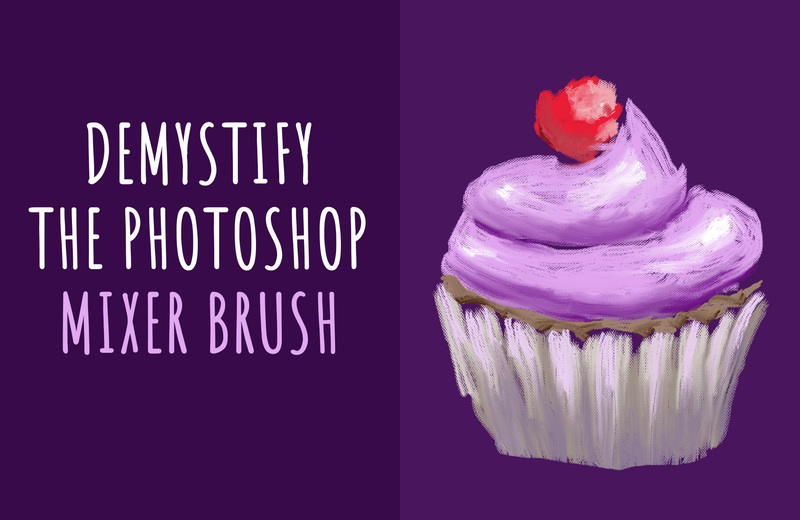 In this tutorial, we’re looking at the different ways in which we can use the mixer brush in Photoshop. The products we’ll be using are found in the Design Cuts marketplace: 550+ Hand Drawn Illustrations by Zeppelin Graphics and 100 Hi-Res Photos by Moonloop. We’ll be showing you how to locate and configure the brushes, and how to understand each setting on the menu. We’ll spend much of the tutorial playing with the tool presets, since they determine how our brushes will be behaving on a canvas. It’s important to note that every brush will behave slightly differently, so we’ll experiment with a range of them in order for you to observe their individual effects. Let’s get started!